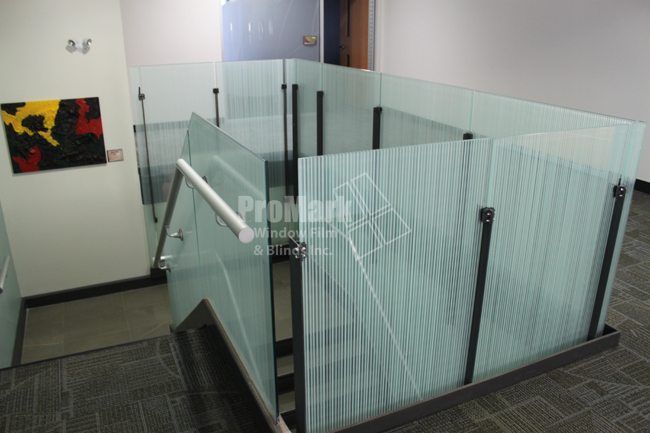 ™™®ProMark Window Film and Blinds was retained to supply and install 3M Fasara Arpa film on glass railings and stairwell glass at the new Langs location in Cambridge. The film adds a decorative element and provides privacy for those working on the second floor. (below) The glass railing film was applied on the non-traffic side of the glass using a scissor lift to ensure the film would not be damaged. (below) Railings and hardware were removed on the stairwells to insure a seamless and clean installation. Please contact us for more information on interior decorative films or for a free consultation. 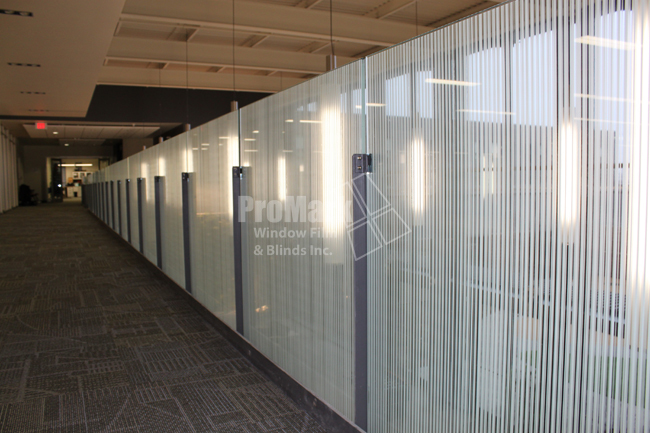 I am looking to have film applied to the glass architectural wall of our meeting room. Also looking for a dealer to work with us on future client installations.